5 min June 2nd, 2018 The Perfect Cannabis Road Trip Through Europe Bon Voyage! Here are all best weed destinations for the perfect cannabis road trip through Europe. 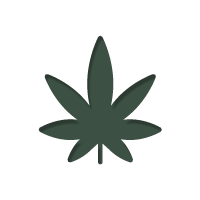 4 min July 12th, 2017 Where To Smoke Cannabis Legally In Europe Europe loves marijuana. Unfortunately, you cannot enjoy a joint wherever you please. With this guide, we show you the best spots to enjoy cannabis legally throughout Europe. 2 min January 29th, 2017 Regulation Spreading: Bilbao, Spain Set To Regulate Cannabis Clubs New cannabis regulation has been set for the Spanish city of Bilbao. Ganja connoisseurs from all around the globe are stoked! This new 420 destination has now become reality.